Perfect World Clock - The perfect tool for the frequent traveler or when going on vacations abroad. 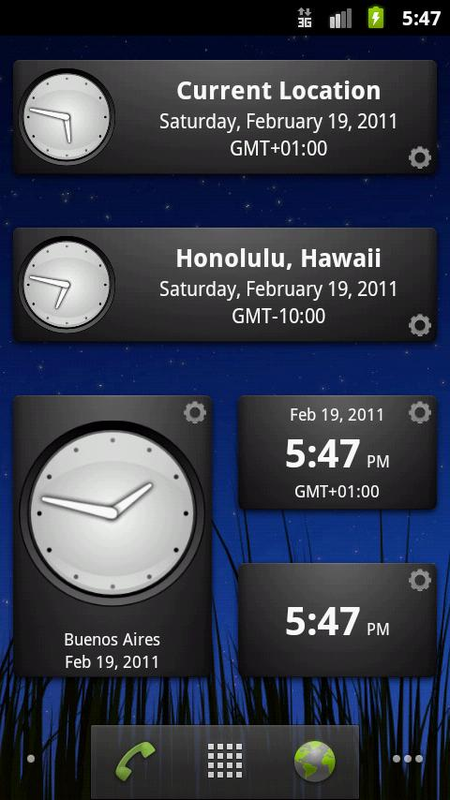 Perfect World Clock is the perfect tool for the frequent traveler or when working with people in different time zones. Ever wondered what time it is in your destination city or back home when travelling? 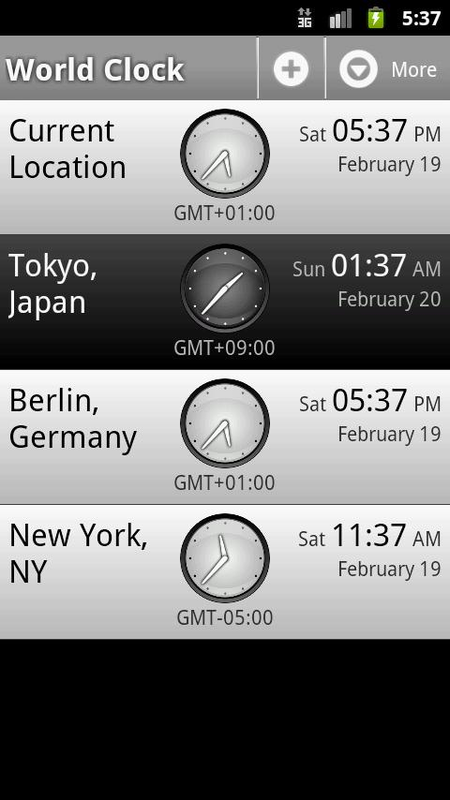 Need to keep track of different time zones? Ever accidentally called your mum in the middle of the night when you've been abroad? 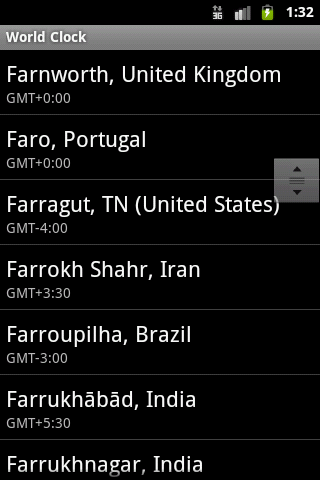 Perfect World Clock has the answer: Show current date & time for places all over the world! And it's free. * Knows more than 20,000 cities in all time zones of the world! This software is currently ad-supported. A donation key which removes ads from the app will be released soon. Both Internet connectivity and GPS/network location details are required for retrieving the current timezone you are in. Additional data costs may apply. After installation you will be required to download additional 1 MByte of data to your external storage. This needs to be done only once though. Please help to improve this application by either commenting or sending an email to the provided contact address below.